Mantha Zarmakoupi questions the ways in which the Romans conceptualised elements of design to underpin the ideological and social expectations of otium - a lifestyle of educated leisure as opposed to the daily chores in the city (the negotium). As the ideal backdrop for otium, luxury villas allow a privileged standpoint to investigate cultural phenomena that concern the construction of Roman identity. 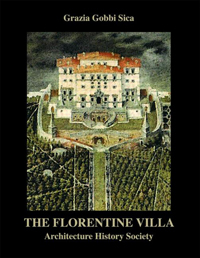 Her argument unfolds through seven chapters that examine some of the distinctive features of Roman luxury villas in five case studies. In an attempt to "combine a design analysis [...] with a cultural analysis" (1), Zarmakoupi engages with her subject through a variety of methods. These range from traditional analyses of layout and decoration to experimental approaches designed to retrieve the sensory dimension of spaces. 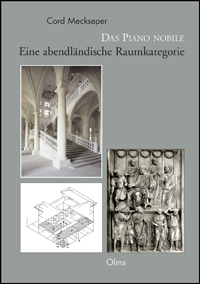 Chapter 1 defines the place of this book within the extensive literature on Roman domestic architecture. Relying on the ancient literary sources, Zarmakoupi follows the momentous emergence of new building type that accommodates not only agricultural production, but also a lifestyle of otium. Since the 1970s, the emergence and spread of luxury villas have been identified as crucial phenomena of Roman culture. Recent work on gardens and landscape shed light on the role of nature to define the visual grammar of leisure and luxury. Along this line, Zarmakoupi concentrates on features that organise the interplay of architecture and landscape. Chapter 2 presents the five cases. These are the best-preserved or most-thoroughly documented villa complexes around the Bay of Naples: Villa dei Papyri, Villa Oplontis A, Villa Arianna A, Villa Arianna B and Villa San Marco. The book provides a general description and a succinct history of the excavations for each of these. 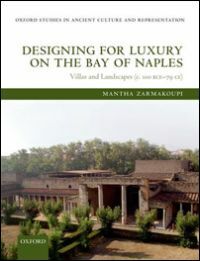 The following sections (Chapters 3 to 6) examine a set of distinctive elements of Roman luxury villas: portici and cryptoportici, porticoed gardens, pools and other water implements, dining facilities. Particular attention is paid to the Latin terminology for domestic spaces (e.g. 85-88, 104-108, 151-153). Portici and cryptoportici are an illuminating example in that they incorporate features drawn from public architecture (Chapter 3). They evoke the atmosphere of cities and palaces in the Hellenistic East, as well as of the grandiose Roman public architecture. Both the Greek stoa and the Roman porticus operated on a double level - as signifiers of power and connectors within the urban fabric. This dual nature is behind their success in private residences. The porticus enhanced the monumental character of the villas. By connecting the many scattered areas of a complex, they assisted the management of circulation and access. Furthermore, they allowed a skilful control of light, temperature, and ventilation. Portici were instrumental to create a second distinctive feature of Roman villas, the colonnaded garden (Chapter 4). Colonnades surrounding large open spaces were reminiscent of an illustrious Greek model loaded with athletic, intellectual, and philosophical implications, the gymnasium. Additionally, porticoed gardens epitomised concepts of luxury and pleasure associated with the Hellenistic East, in particular with the royal parks of Alexander's successors that echoed the Persian paradeisoi. The architectural framework offered a compromise between this allusion to exotic prototypes and the Roman tradition of homely domestic gardens (the horti). 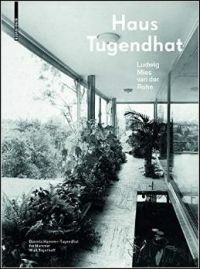 Porticoed gardens responded to a "notion of the garden as a constructed landscape" (113). Vegetation, decorative patterns, and sculptures created paths and emphasised sequences and symmetries. Chapter 5 examines the role of water. In the first century CE, water was "another marker of the 'new era' of the Roman empire" (141). Few other features displayed the technological advancement of the period so explicitly. The improved supply from aqueducts gave rise to an "all-pervasive water mania" that led to the proliferation of fountains, nymphaea, pools, and bathing suites. The availability of water deeply influenced the design of villas. Firstly, gardens could now include flowers and plants that required more surface water. Secondly, the mythological and symbolic associations of water added further aspects of sophistication. Finally, water could function as a connecting element in the complex. The entertainment of guests culminated in convivial dining. Triclinia and dining facilities provided the quintessential stage for self-presentation and networking (Chapter 6). Traditional triclinia rooms were fundamentally inadequate to host elaborate dining practice and the display of wealth and conspicuous consumption that went with them. Architects developed an array of rooms with different layout, structure, and location, often arranged in clusters (diaetae). The increasing size of the windows responds to a pervasive preoccupation with landscape. Chapter 7 wraps up the book's main points. Besides being very enjoyable reading in itself, it reflects Zarmakoupi's sensibility as both a trained architect and an historian of Classical art. She identifies four main patterns in the conceptualisation of luxury villas. They determined the shape, placement, and combination of the individual structures. 1. Roman villas had no single and distinct core. This allowed for the inclusion of many different triclinia that took full advantage of the landscape. 2. The same preoccupations led to arrangements that were "so perforated that it is difficult to discern what was and what was not an interior space" (224). 3. Water enhanced the environmental qualities and the sensory experience of landscape. 4. Portici and cryptoportici provided the connective tissue that unified the complex, both functionally and visually. The volume is finely produced, almost free of typesetting mistakes, and well illustrated. An informative appendix presents the archaeological evidence of the colonnaded gardens in the five villas. This book is destined to remain a fundamental reference for the study of Roman housing for many years. Assuming previous detailed knowledge on the subject, it will appeal principally to an academic audience of specialists. Readers with a specific interest in Roman villas and the archaeology of the Bay of Naples will find many stimulating ideas, as well as an update on current research. 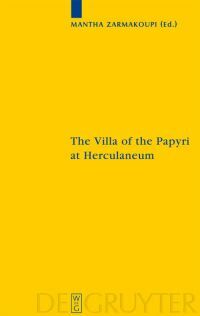 The relevance of the topic, as well as Zarmakoupi's capacity to condense a wealth of information about sites and buildings, make this volume a welcome addition to the ever-growing body of scholarship on the Roman "villa culture". A similar approach to the sensualistic perception of spaces in architecture, albeit from a broader and inter-disciplinary perspective, lies at the core of the collaborative project "Cinema in Stone: Reading modern architecture with the help of classical studies" at the Universities of Bamberg (S. Vogt, C. Illies, M. Düchs) and Nuremberg-Erlangen (A. Grüner). For an overview: R.A. Tybout, Rooms with a View: Residences Built on Terraces along the Edge of Pompeii (Regions VI, VII, VIII), in: J.J. Dobbins - P.W. Foss (eds. ), The World of Pompeii (London-New York 2007), 407-420.